I don’t own any blocking wires, so I had to do the best I could with the top edge with just pins. 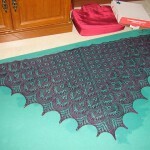 Lace shawl. End of story. Okay, fine, I do have a few things to say. 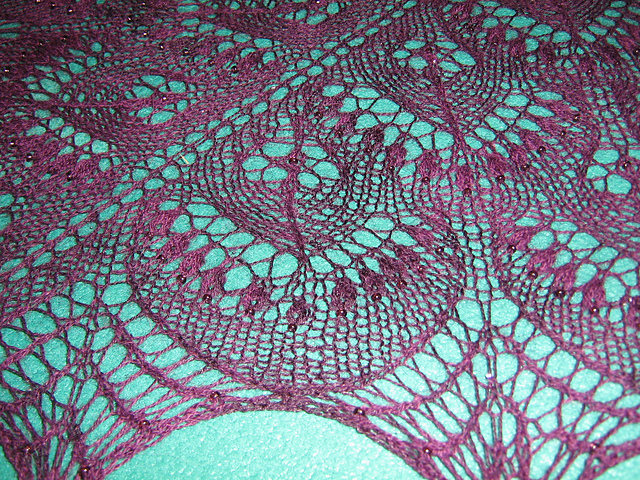 I added beads in the center of each flower, flanking each nupp, and on every decrease stitch in the last edging row. 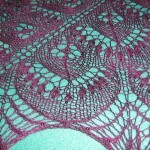 4 repeats of the flower pattern & 2 of the blueberries; 5 stitch nupps. Despite fearing that I’d run out of yarn, what with all the nupps, I still had quite a bit left. 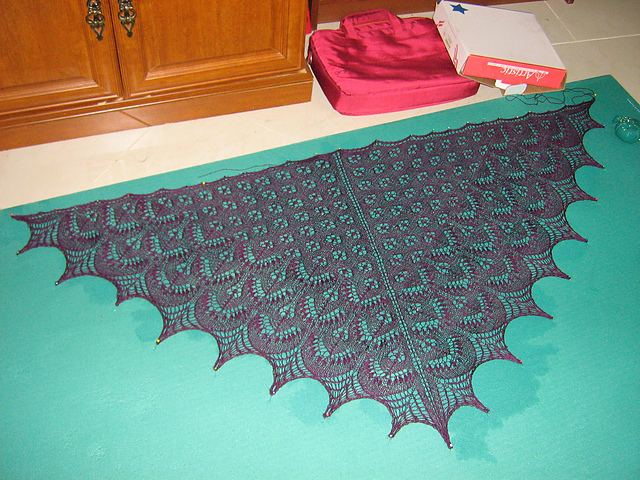 The blueberry chart was pretty labor-intensive, but it would be easier without beads, and it is really pretty. But for some reason, all my right-leaning nupps are twisted in a funny way. I knit this while staying at a friend’s house, so I have memories of going to horse-riding and swimming lessons, playing I Doubt It, and having conversations about books and obscure words while knitting this.